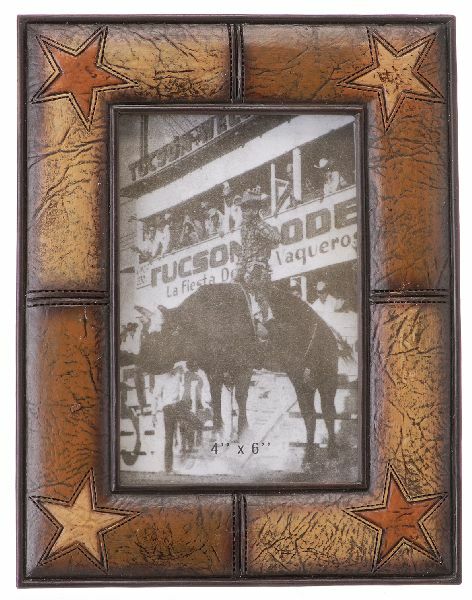 Order Horse and Cowboy theme photo frames online in a variety of styles. 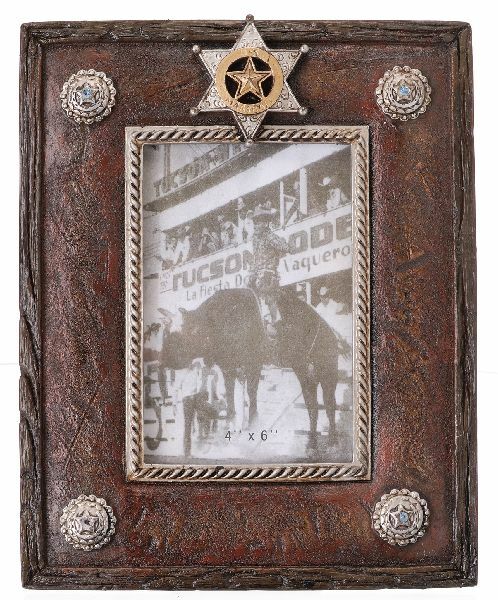 Montana Silversmiths Spur Rowel Photo Frame - 4" x 6"
Display your favorite photo in this classy western inspired photo frame! Resin construction made to look like aged wood. 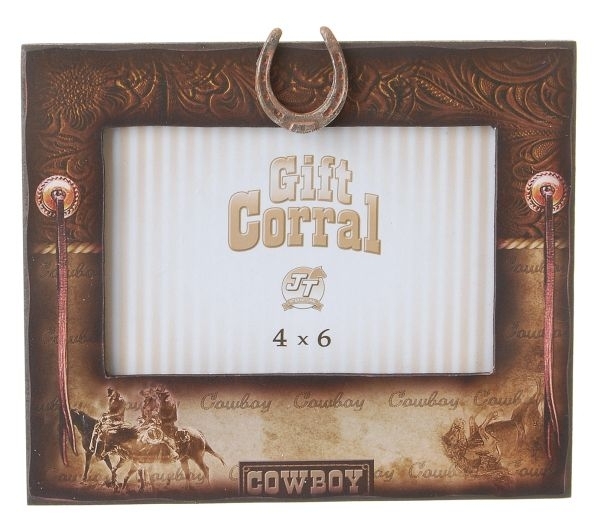 Features string of varied spur rowels around all four sides. Flap at back to stand frame up. 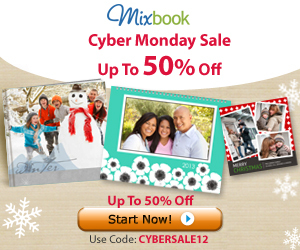 Holds one 4" x 6" photo. 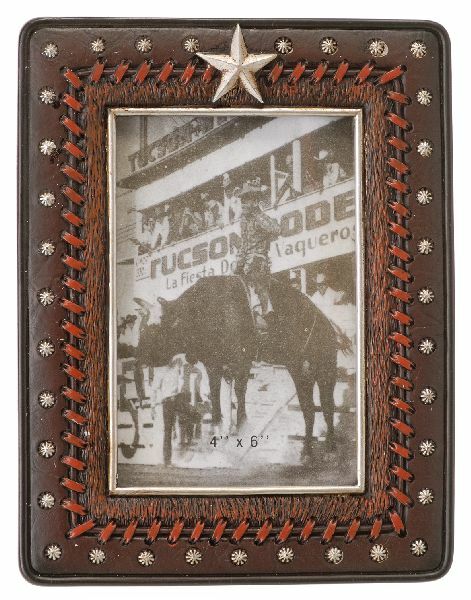 A traditional western home boasts beautiful home decor just like this classic picture frame! 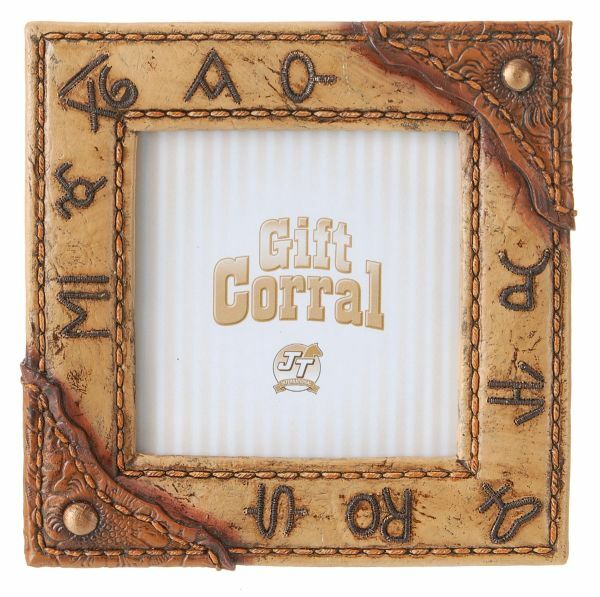 Showcase this frame on your mantle or coffee table. 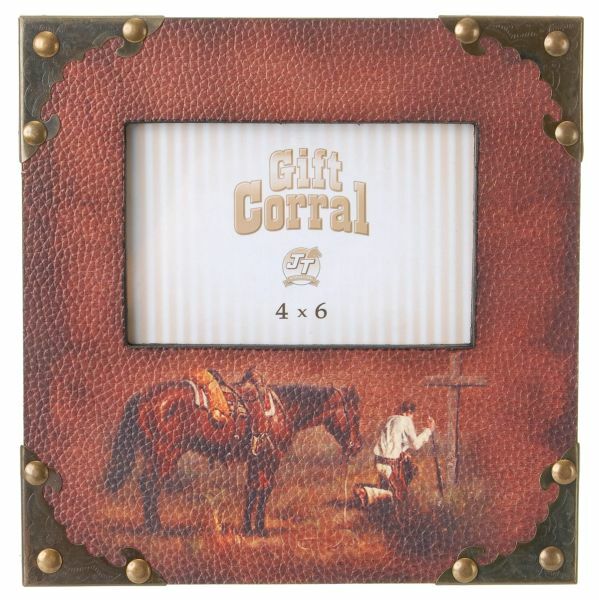 This photo frame holds one 4" x 6" photo. 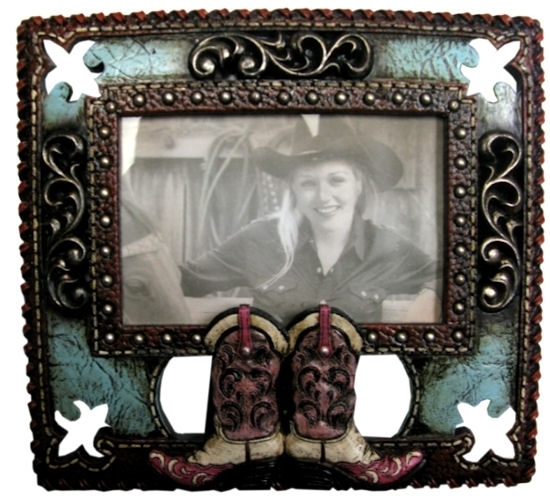 Montana Silversmiths one-of-a-kind photo frame. 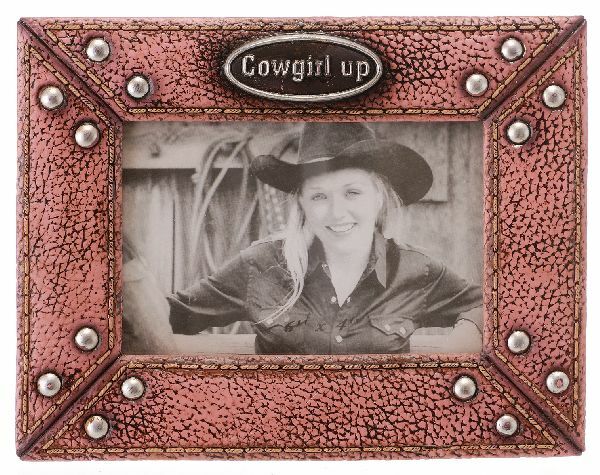 Fancy silver-tone tooling dresses up picture frame. 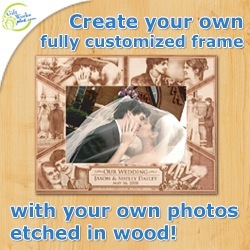 Rustic faux wood borders. 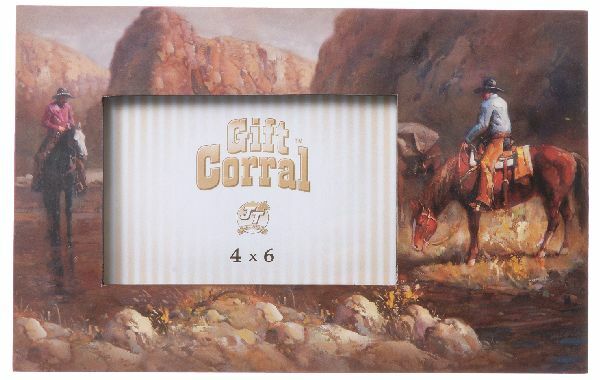 Frame vertically & horizontally displays 8" x 10" picture. 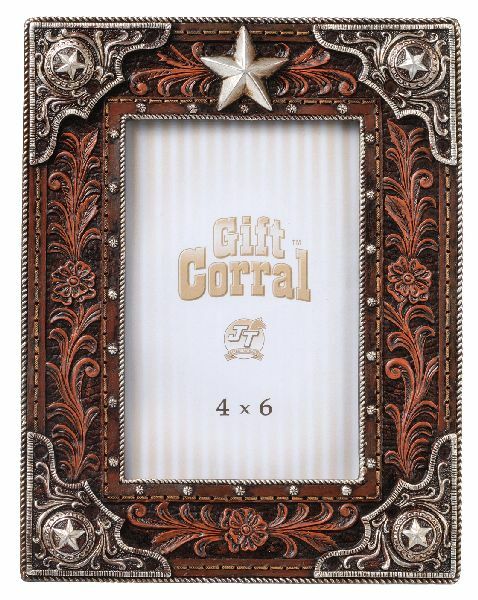 Display your loved ones in our Montana Silversmiths tooled picture frame. 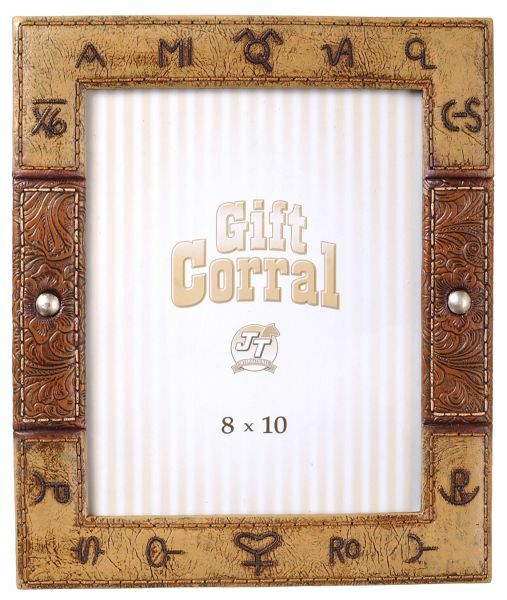 Display options of wall hooks or free standing easel. 10.75" x 13.75". 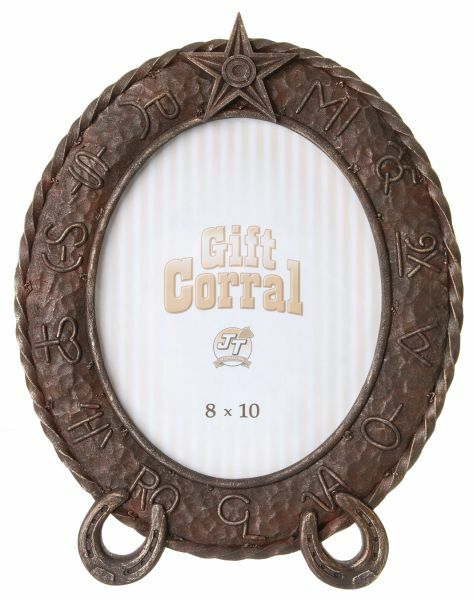 Kick your decor up a notch with this cowboy boot picture frame! 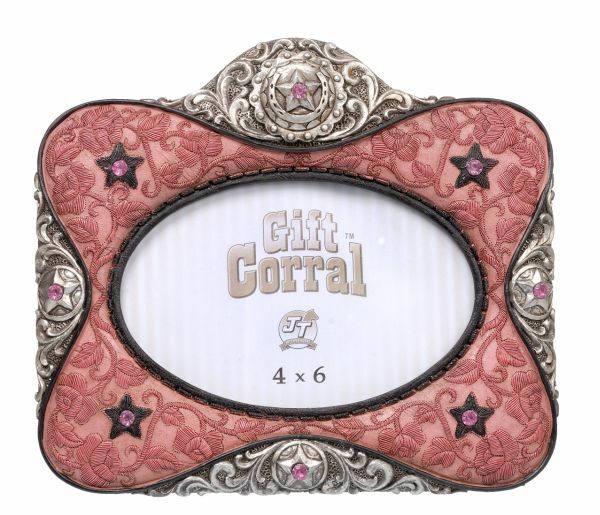 Beautiful detailing with silver conchos, heel and toe pieces and floral tooled accents make this frame a must have. 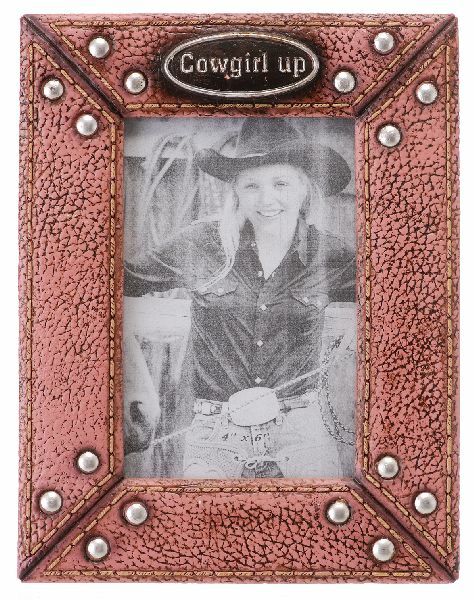 Holds 2 1/2" x 3 1/2" picture. 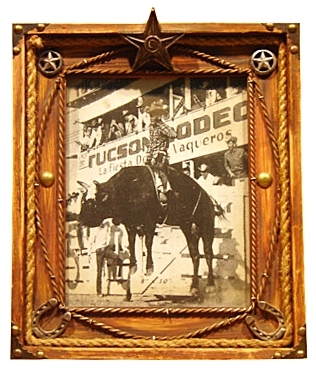 Double Boot Western Picture Frame. Resin. 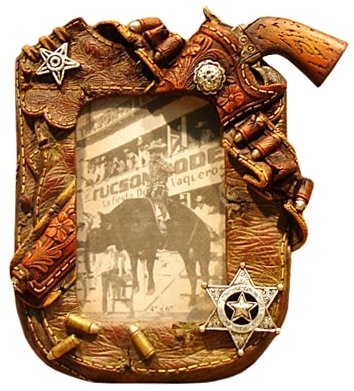 Holds 4" x 6" photo. 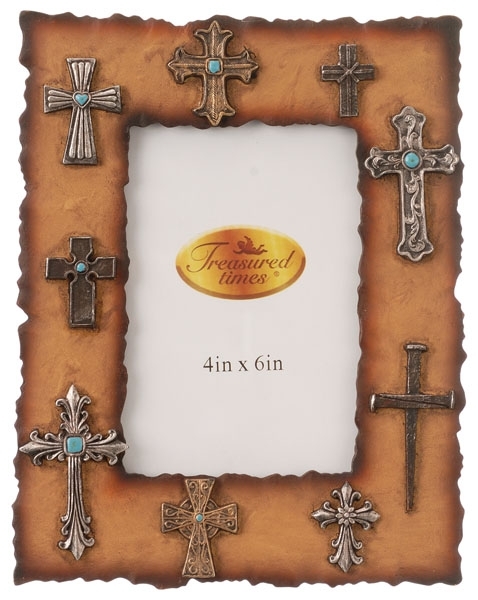 Frame measures 9".Size:4" x 6"
Crosses Frame 4"X 6"JTW5568430Size:4"X 6"
Gift Corral Frame Brands 4" X 4"
Frame Brands 4" X 4"